There was an article in the New York Times the other day about gardening - plants that are "in" and plants that are "out." I hastily picked up newspapers early yesterday morning to take up to the recycling bin, and I think I must have grabbed that one by mistake. I had meant to keep it and quote some statistics, which, of course, I can't remember now. Back when I saw the above garden for the first time, I was on fire about gardening (well, I actually still am). But, things have changed. The garden's owner and designer, Ryan Gainey, was a super-star, starting in the late 1980's. At the Southeastern Flower Show (first called the Atlanta Flower Show), Ryan would take our breath away with the gardens he made for the exhibition. Every year, I'd hurry over to his display to see what he had come up with. Every garden he did for the show was packed with great ideas and plants that had been forced to bloom in the middle of February. I remember one in particular. It was a large garden, and in the middle was some sort of structure that looked like an antique cupola. There were gravel paths and designs within designs (like in his real garden above). He had forced several spectacular giant snowball bushes (Viburnum macrocephalum), and the whole thing reminded you of a cottage garden in the country. This was in the days before I started having to take my own photographs for the Atlanta newspaper, so I wasn't very good about carrying a camera around. How I wish I had. It was one of the most charming gardens I'd ever seen. Ryan's garden on a street in Decatur has been on the Atlanta Botanical Garden's annual Mother's Day tour for as long as I can remember. While many of the elements have remained the same, some plants have come and gone. I noticed there was no longer a stand of red St. Joseph's lily (Hippeastrum x johnsonii) in his tiny front yard. Maybe there's too much shade there now. I didn't see anything about a giant thistle being "out" in the NYT article (they did say catalpa trees were "out"; were they ever "in"? ), but the sharp-edged plant was in vogue for a time. If I had taken a photograph 20 or so years ago of this same area of Ryan's garden, it would have been crammed with the large, scary-looking variegated leaves of a thistle that was popular in England at the time. But, as fads came and went, Ryan was consistent with the beauty he imposed on his double lot, which came with greenhouses when he bought it. Roses still ramble overhead, and geometric patterns and long vistas continue to draw you in. 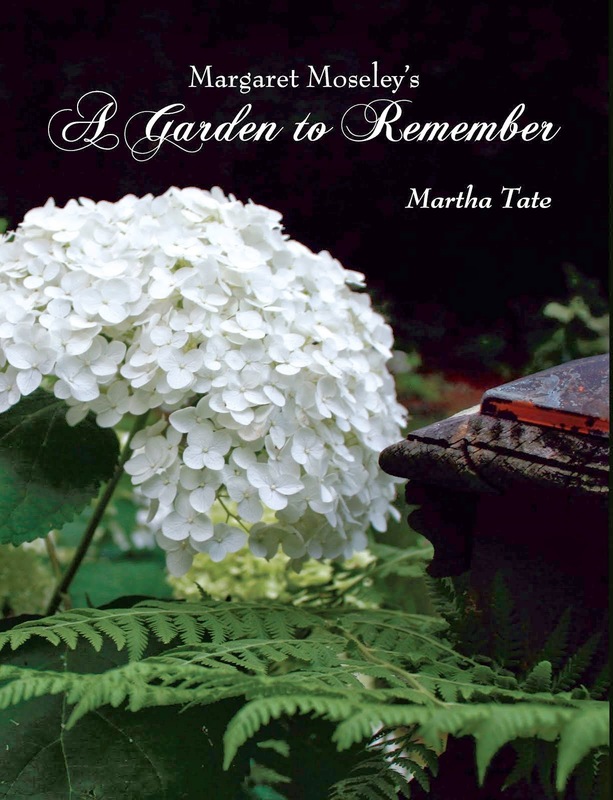 His garden has been the subject of television shows. It's been in every national magazine you can think of and some international publications. He's written several books and appeared in countless others. Every time I go there I'm inspired. I noticed the other day that the upright boxwoods (Buxus 'Graham Blandy') had grown to at least ten feet high and that Ryan has connected them and made an arch to walk through. I thought about the time I was at Wilkerson Mill Gardens, one of the few places that sold them, and I didn't spend $11 each for two, as I well should have. They would have been the size of Ryan's now. Ryan's roots are in his beloved town in South Carolina where his mother and aunts were great influences on him. His garden has been a wonderful laboratory for trying out designs. He's had a potager ever since I can remember. He's changed things around, and his espaliered apple trees are way tall now, but this garden, I dare to say, has provided ideas for countless people who have visited there. I think it's one of the most important gardens I've seen anywhere. I like the fact that he opens it so generously every year. I came away once again, determined to make more long vistas wherever I could. And, I think I've mentioned that I want all those pink roses hanging overhead and running along paths and appearing on distant arches. It is a garden that has meant so much in the past, and I hope that it will long into the future. I wasn't able to get to Ryan's garden this year which is a great shame because it's the most inspirational garden I've ever experienced. I've taken hundreds of photos of his garden and spent hours studying them in order to break down components I could replicate in my own garden. It's a struggle. But I finally feel like I'm making progress with my own little plot. A few years ago I remember seeing that milk thistle in bloom in his garden in the far back corner. It was striking and I seem to remember reading somewhere that the original seeds were given to him by Rosemary Verey. Thank you for the lovely article on Ryan Gainey's garden. The Atlanta Botanical Garden Associates is celebrating the 30th Anniversary of the Gardens for Connoisseurs Tour, which Ryan founded in 1984 along with Tom Woodham and Mary Wayne Dixon. The Associates are grateful and proud that Ryan has graciously opened his garden to our tour.every year for 30 years. We hope he will continue to have it on the tour for 30 more!